Visit Hikone's most beautifully blooming cherry blossom locations, and experience a uniquely Japanese springtime! 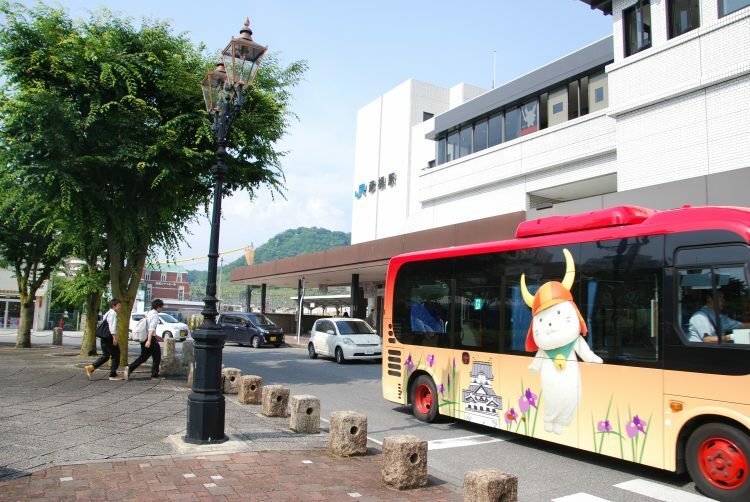 When you arrive at Hikone Station, you'll be greeted by a statue of Ii Naomasa, the samurai general under whose rule Hikone Castle was built. Make your way to the information center inside the station to pick up some multilingual maps and sightseeing pamphlets. English sightseeing information is also available. Nearly 1,200 flowering cherry trees grow around Hikone Castle and its moats, making it an extremely popular location in the springtime, when the cherry blossoms bloom. 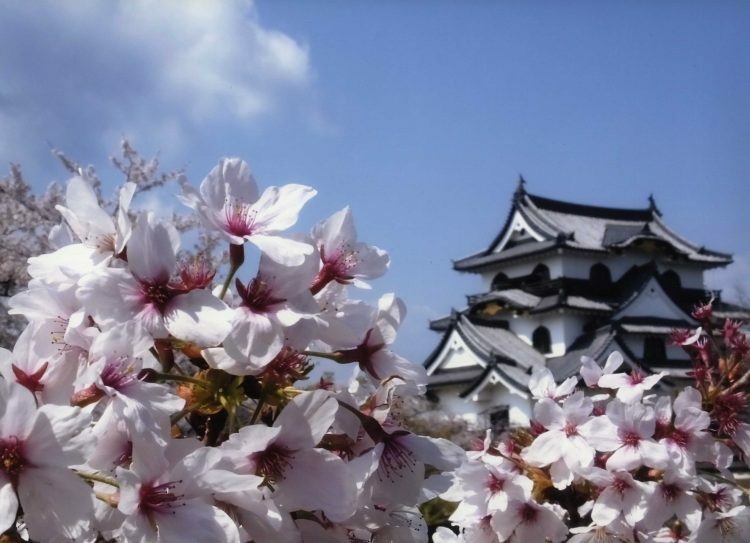 Be sure to catch some of Hikone Castle's most beautiful blossoms during your visit here. 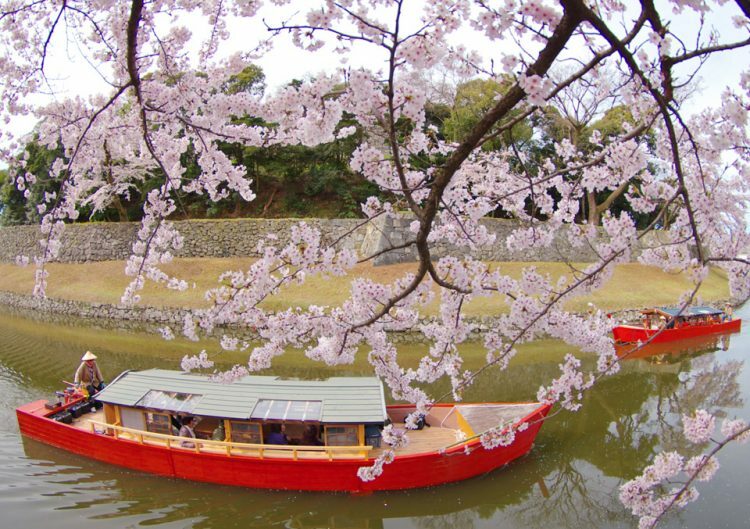 From spring to fall, a pleasure boat sails around Hikone Castle's moat, the perfect vantage point from which to view the cherry blossoms in comfort. Enjoy a uniquely Hikone-style meal at one of the shops along this Edo Period (1603-1868)-style street. The area has many different restaurants serving Omi beef and fish dishes from Lake Biwa. 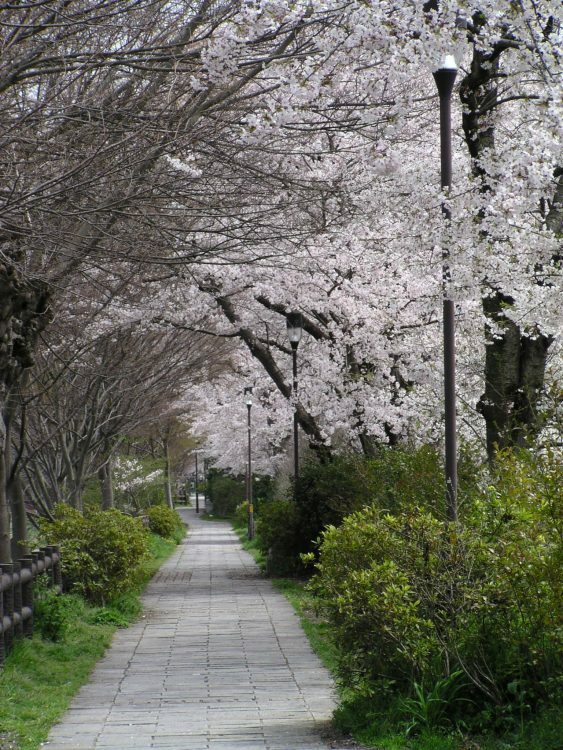 This promenade is only a ten-minute walk from Hikone Castle, and is lined with 400 year-old selkova trees. This cherry blossom-viewing spot is a lovely follow-up to the castle, and in springtime forms a tunnel of blossoms overhead.